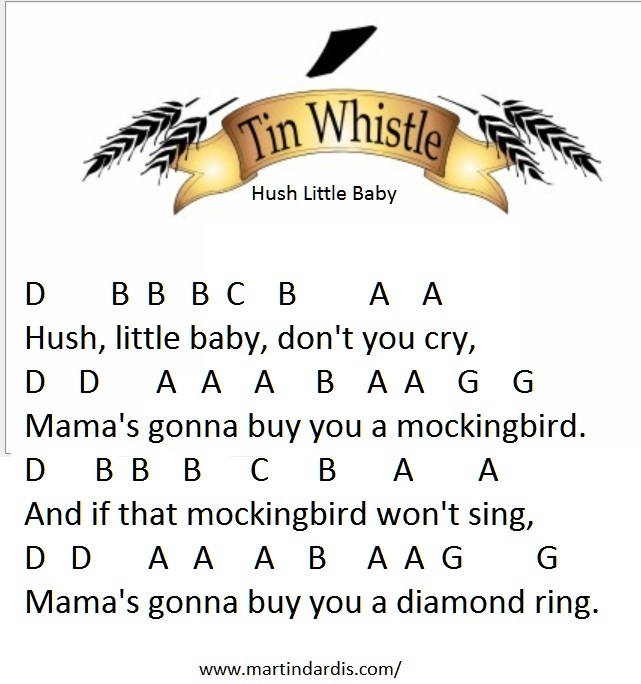 Hush Little Baby Don't You Cry Tin Whistle Sheet Music Notes. As usual I play this on a D whistle. It's part of the Children's Section to teach kids simple whistle songs using basic letter notation. The song comes from America and is traditional.